BSO Board to Match Give to the Max Day Donations! 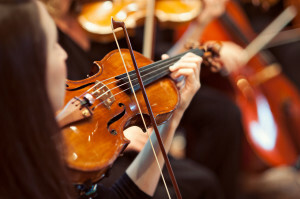 | Bloomington Symphony Orchestra (BSO)| A community orchestra located near the Twin Cities in Bloomington, Minnesota| Musicians | Concert Performances | Classical Music BSO Board to Match Give to the Max Day Donations! BSO Board to Match Give to the Max Day Donations! On Sunday, November 10, the six-member Bloomington Symphony Orchestra Board of Directors announced that it will match all donations received on Give to the Max Day up to $2,325! Please consider joining the board by giving a gift of $10 or more that will support the Bloomington Symphony’s mission of performing classical music in the Twin Cities, providing a venue for musicians to share their talents, and supporting music education by performing with young musicians. For more information, please visit our Give to the Max Day page here. Don’t want to give online? Visit our Support page or download this form and return it to our office. All gifts are tax-deductible to the full extent of the law. Gifts received or postmarked on December 31 or earlier will be deductible in 2013.